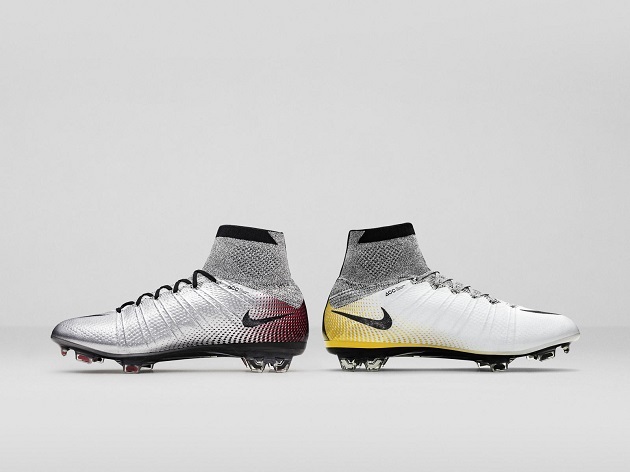 Nike has once again spoiled the crafty Portuguese international with two brand new boots. 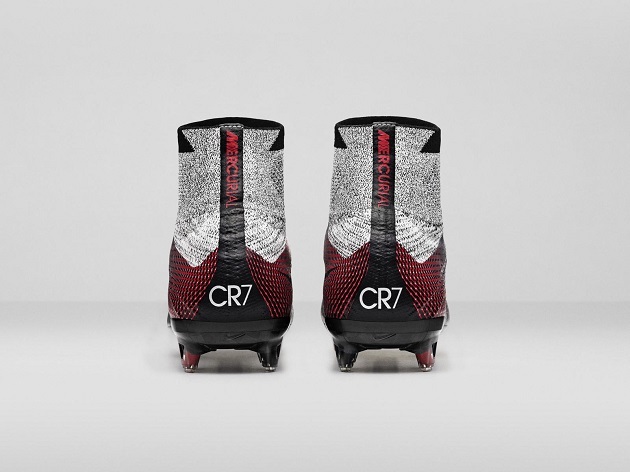 These fresh Mercurial Superfly CR7’s have some special designs and were created to commemorate Ronaldo’s Real Madrid-record 324 goals and 500 career scores. Nike have unveiled both colorways’ release dates. 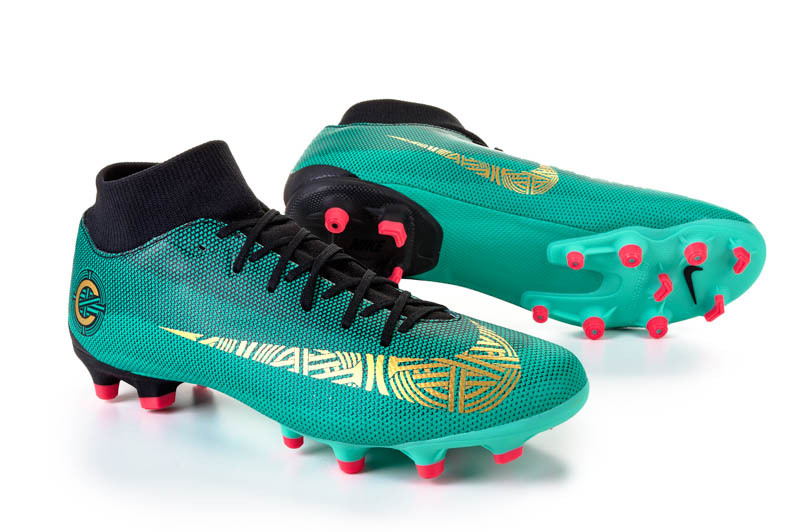 The CR7 324K Gold will be made available for purchase exclusively on the Nike Football App this coming January. The CR7 Quinhentos will be released on the app in March of 2016 so you will be able to pick up both pairs if you are lucky enough to snag a pair of Limited Edition Superflys. The 324K Gold is designed to show the winger’s master class for goals in becoming the Real Madrid all-time leading goal scorer with 324 goals and counting. 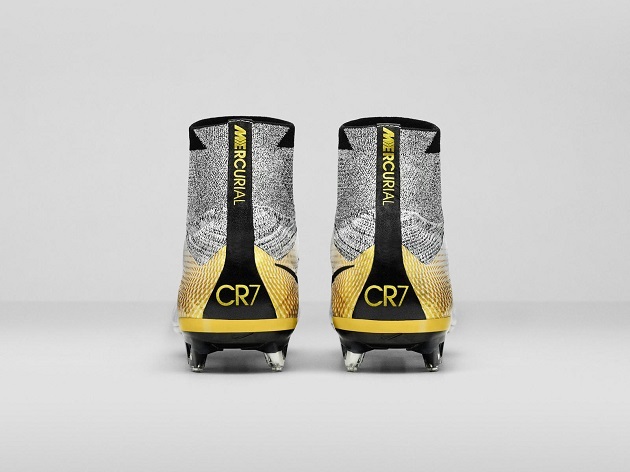 The boot features a white Flyknit upper with gold in the heel that features his signature CR7 logo. The Dynamic Fit Collar is grey and runs through where the tongue would be. 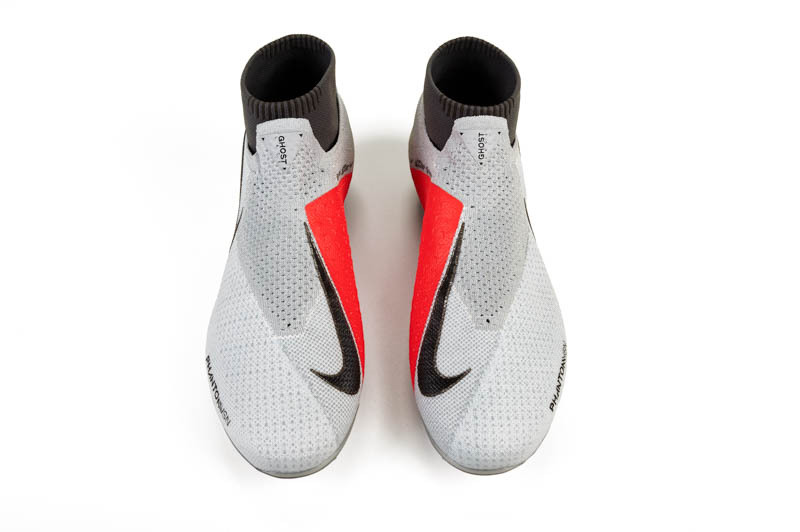 A black Swoosh is added to contrast the white upper to enhance the already sleek design. The Quinhentos is a darker silver in color and features the same design leading to the heel but with maroon as the other color. 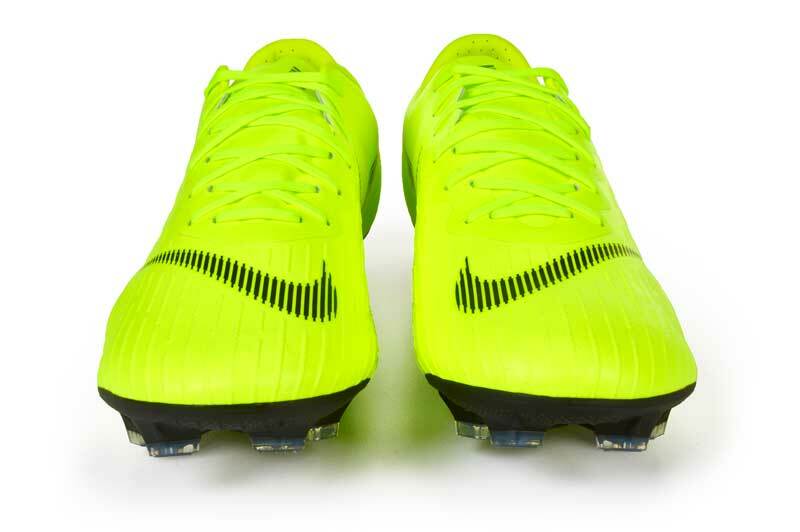 CR7 is found on this heel to let you know both of these cleats are made for one man. The Dynamic Fit Collar is also a heather grey for the Quinhentos. Look familiar? 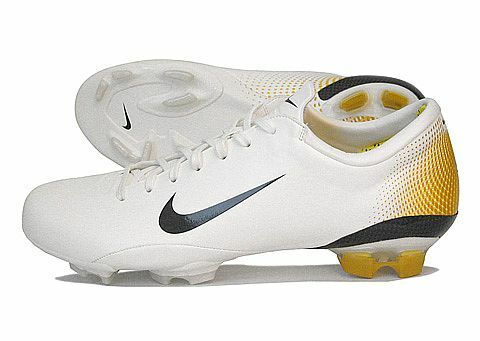 They should for some older boot lovers, as both are inspired by Ronaldo’s favorite Mercurial Vapor III colorways. I think what Nike has accomplished here is something most people can appreciate. An old boot colorway was transformed into a modern design and will see game time since Ronaldo was spotted in the 324K Gold Superfly today in training for Los Blancos. 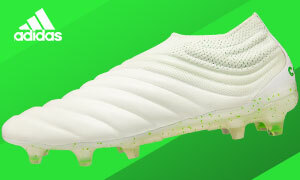 What do you think of the new Superflys? Let us know which one you like best down below!